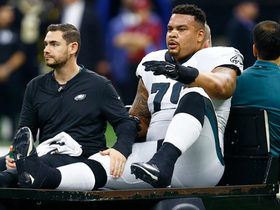 Michael Vick's woes: What's wrong with Philadelphia Eagles QB? Published: Sept. 27, 2012 at 05:55 p.m. Updated: Sept. 28, 2012 at 01:26 a.m.
What's wrong with Michael Vick? That question likely is running rampant through Philadelphia Eagles headquarters after seeing Vick suffer through a miserable three-game stint to start the season. The 10th-year pro is only completing 55.2 percent of his passes and ranks 29th in the NFL with a 66.2 passer rating. 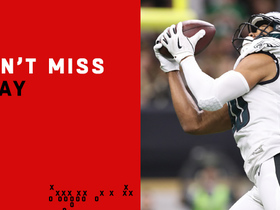 Most importantly, he has been a turnover machine with nine giveaways (six interceptions and three fumbles), including three turnovers inside the opponent's 25-yard line. As a result, the Eagles only rank dead last in scoring offense (15.7), despite fielding what should be one of the most explosive offenses in the NFL. The biggest responsibility for NFL quarterbacks is getting the offense into the proper play call based on the look of the defense. Quarterbacks are expected to decipher the front and coverage at the line of scrimmage, adjusting the play and/or protection based on what he sees and anticipates. In breaking down Vick's play this season, it appears that he is having difficulty cracking the defensive code prior to the snap, and his lack of anticipation has led to free rushers bursting into the pocket. This is part of a trend that started near the end of the 2010 campaign, when the Minnesota Vikings forced Vick into his worst performance of that season by utilizing an assortment of double A-gap blitzes and disguises to confuse him in the pocket. After seeing the Vikings tally six sacks and three turnovers, more defensive coordinators started to employ similar tactics with success. 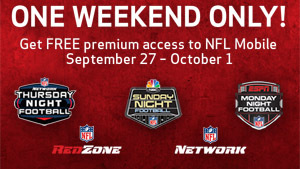 In fact, the Arizona Cardinals used a variety of double-A gap blitzes in a 27-6 beatdown of Vick and the Eagles last Sunday. 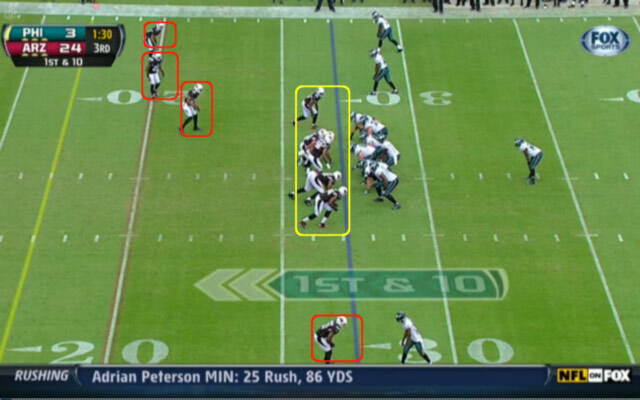 Vick should be alerted to the blitz by the alignment of the safeties and corners over their assigned receivers. 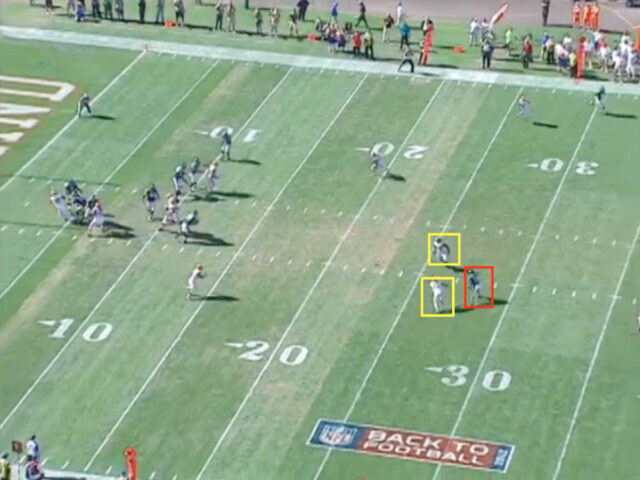 If he knows the blitz is coming, he should check out of the play call or identify the hot receiver prior to the snap. The result? A 12-yard loss on a sack by Washington. Until Vick consistently anticipates the blitz by correctly reading the alignment of safeties and linebackers near the line of scrimmage, he will continue to see a barrage of pre-snap disguises and blitz looks to confuse him in the pocket. The quickest way to lose games in the NFL is to consistently give the ball to the other team. Vick has turned the ball over at a remarkable rate this season, and the 2-1 Eagles are fortunate to have a winning record despite leading the league in giveaways. While some of Vick's turnovers can be blamed on leaky pass protection from the offensive line and unfortunate drops or deflections from receivers, the majority of his mistakes are due to his own carelessness in the pocket. Vick routinely moves around the pocket with the ball hanging loosely like a loaf of bread in his left hand, and defenders constantly swipe and poke at his arm to pry the ball free. Without two hands on the ball to properly secure it, Vick repeatedly puts it on the turf upon contact, and opponents have been successful pouncing on the loose balls. Every defensive coordinator in the NFL looks to pressure the quarterback to test patience and poise in the pocket. For traditional pocket passers, in particular, the common practice is to bring five- and six-man pressures early in the game to get rushers into the face of the quarterback. For many years against Vick, though, defensive coordinators would avoid bringing heavy pressure consistently for fear of Vick using his remarkable speed and athleticism to flee the pocket for a big gain. This notion has started to change over the past year, with more teams enjoying success with blitz tactics. Vick posted a passer rating of 65.5 against the blitz in 2011 with 11 interceptions, and he has been just as inept this season against pressure. Against the Cardinals last week, he only completed five of 21 passes when the defense sent five or more rushers. 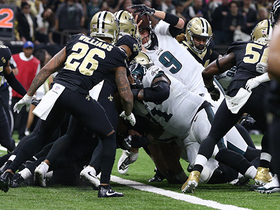 Opponents have also tested Vick's patience and poise by dropping seven or more defenders into coverage and daring him to fit the ball into tight windows. For instance, the Cleveland Browns were successful using a variety of zones to force Vick into a four-pick performance in Week 1. As a result, D'Qwell Jackson snares the pass and returns it 27 yards for a touchdown. For all of Vick's remarkable talents as a playmaker, he is a more effective player when used sparingly in the passing game. Vick sports only a 27.7 winning percentage in games when he has attempted 35 or more passes, so the Eagles would be wise to utilize a more balanced game plan to increase his effectiveness. 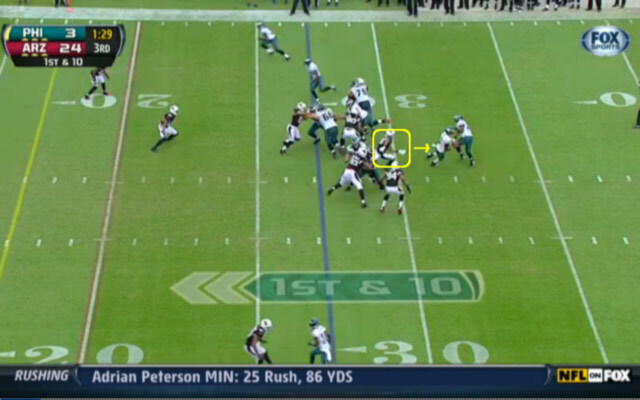 By giving the ball consistently to LeSean McCoy, the Eagles would alleviate some of the pressure on Vick to perform as a pinpoint passer, while also creating more big-play opportunities off play action. This was the tactic utilized during his MVP-like season in 2010, and Andy Reid should get back to that game plan. If Vick is struggling to read or anticipate blitzes prior to the snap, Philadelphia can build hot reads into the route progression to give him an outlet against pressure. In theory, this would put one of the Eagles' receivers on a short route like a quick out or slant to act as a safety valve against the blitz. 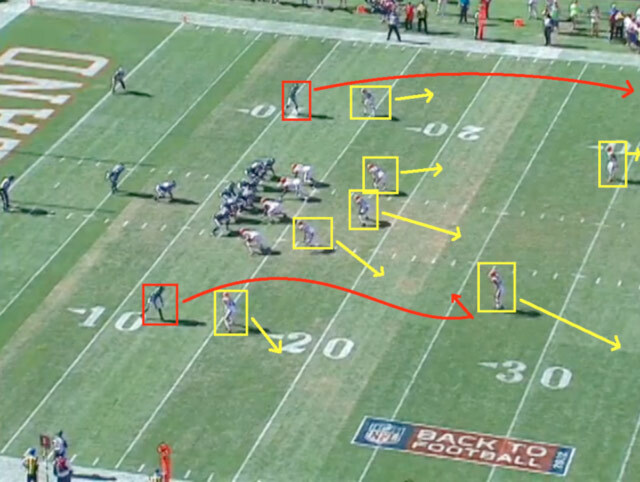 Vick would see the blitz unfold immediately after the snap, and turn and fire the ball to the designated receiver. 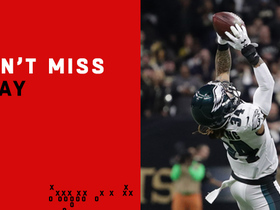 Given the speed and explosiveness of the Eagles' receiving corps, the utilization of hot reads could produce big gains, while also protecting Vick from punishment in the pocket. Since Vick entered the league in 2001, observers have encouraged him to avoid relying on his legs to flee the pocket out of concern for his durability. Although this notion is sensible considering his small stature, it appears to me that forcing Vick to stay within the pocket actually leads to more punishment. Looking back at some of the biggest shots he has taken throughout his career, most occurred when he remained within the tackle box and attempted to make throws down the field. I believe the Eagles would be wise to encourage Vick to use his athleticism and speed to avoid trouble, but make smart decisions as the play reaches its conclusion. This means skipping out of bounds at the end of plays or sliding before defenders are within range to make contact. By carefully picking and choosing when to run, Vick can remain a dangerous weapon while preserving his body.